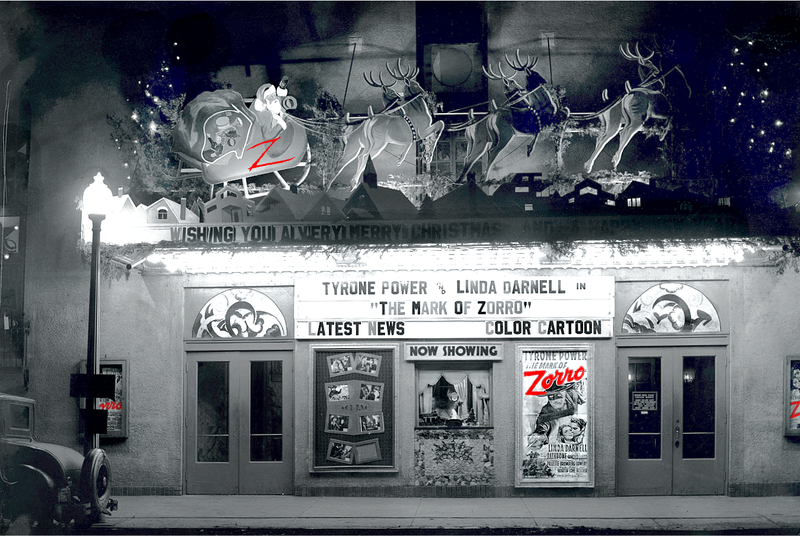 ZORRO FOR CHRISTMAS 1940 – PLUS A COLOR CARTOON! and Capt. 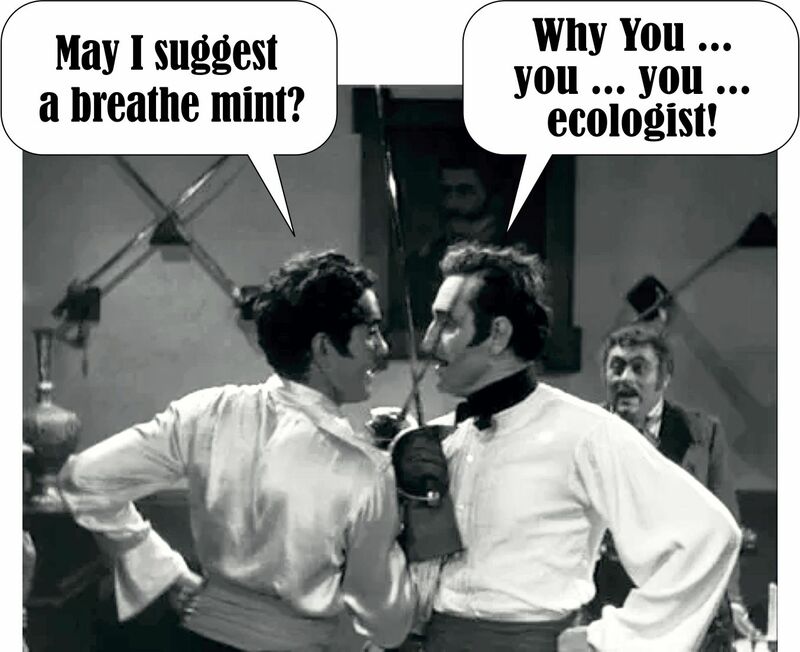 Esteban Pasquale (Basil Rathbone). 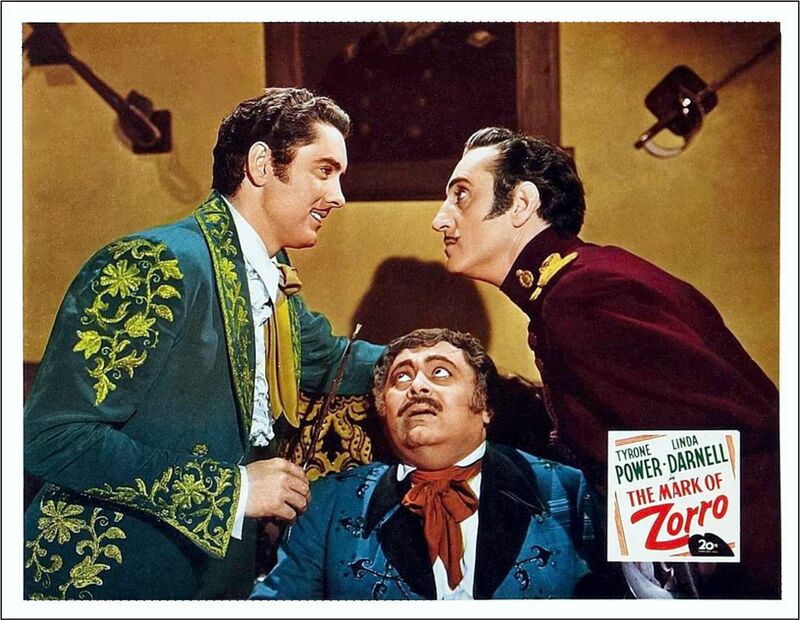 After 78 years this is still regarded among the great sword fight/Swashbuckling scenes in filmdom. 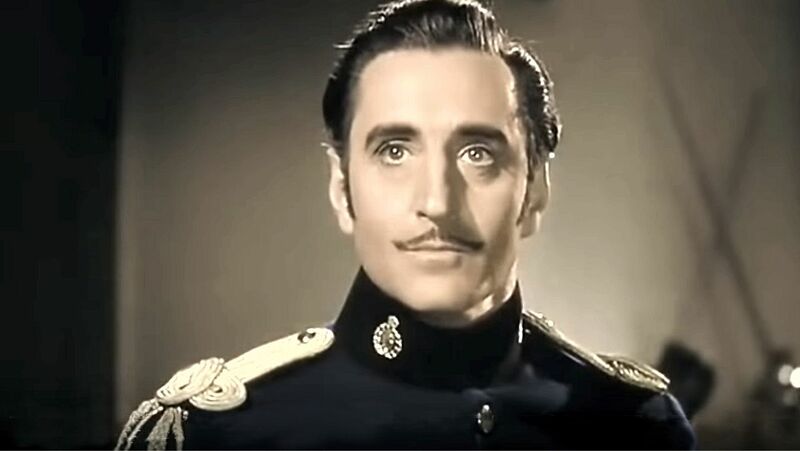 Rathbone is often said to be the greatest of all the swashbuckling fencers/swordsmen Actors in Film. And as is evident in the video below, he how proud he was of his prowess. 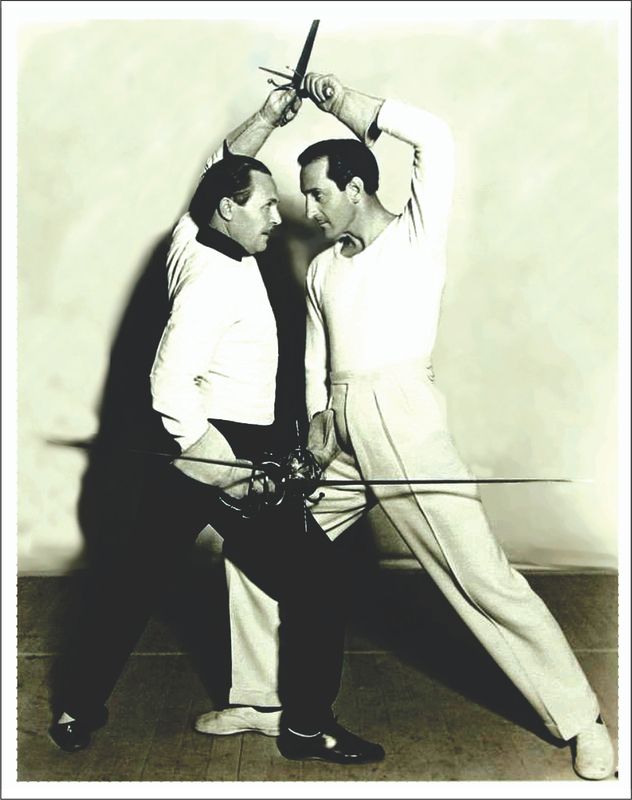 Rathbone studied stage fencing as part of his training at the famous Old Vic Theatre. The study of Fencing and Swordsmanship is part of a Shakespearean Actors training. 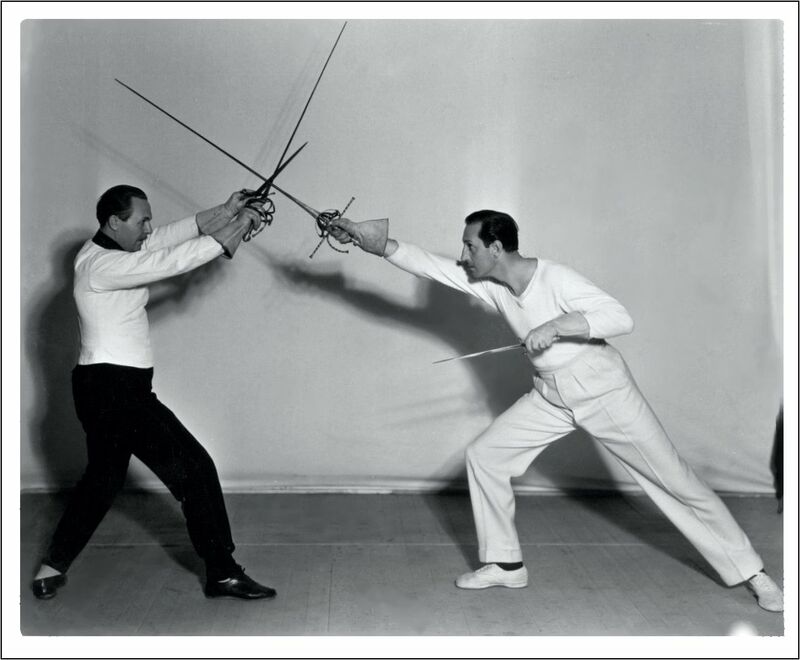 He was also tutored under Swordmaster and famed Fight Choreographer Fred Cavens. 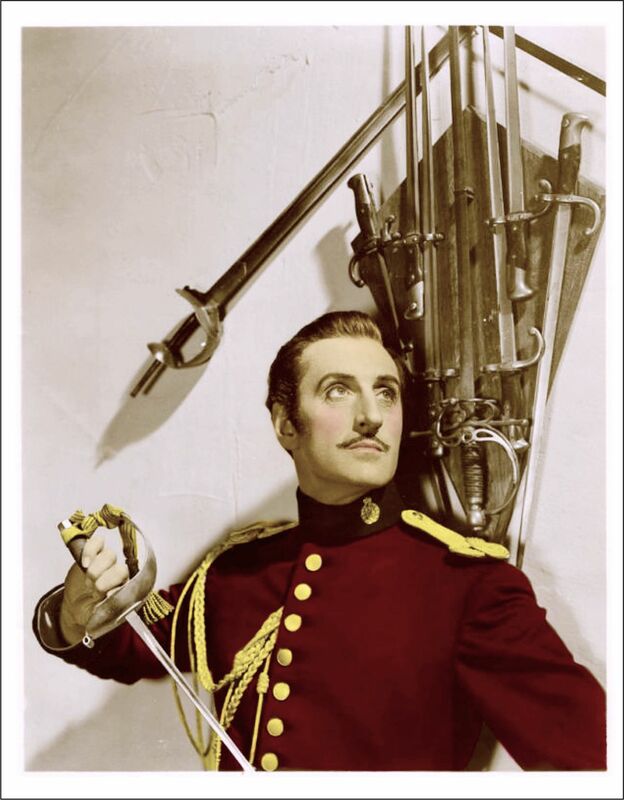 Rathbone did his most of his own stunts and required no stand-in or double for his swordwork. 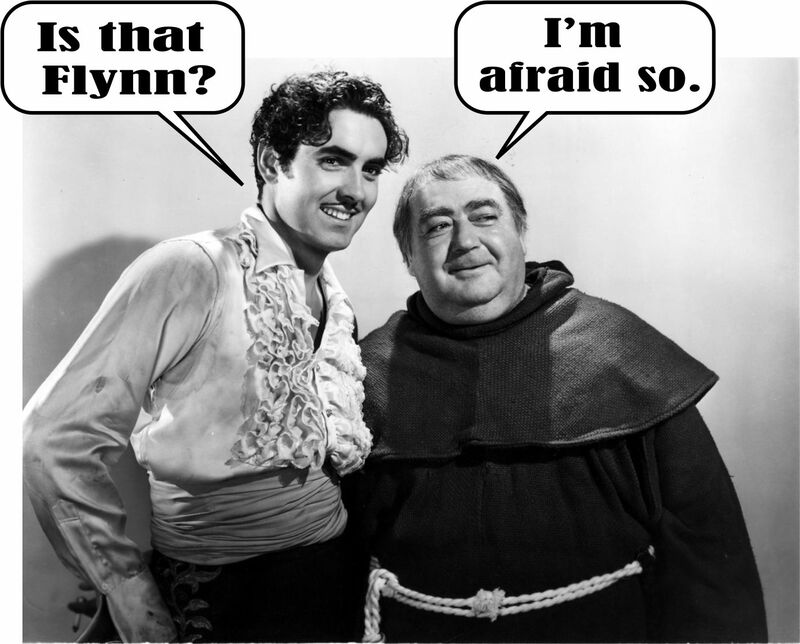 What is NOT well known, however, is that Tyrone Power was also very good. “Power was the most agile man with a sword I’ve ever faced before a camera. but I figure Tyrone coulda handled it himself. Rathbone was an Olympic fencer. He didn’t learn it for the stage. He already could fence. He had to learn “stage fencing” which is different than “real” fencing. If you hit someone wrong on stage, they can be badly injured. A friend of mine almost lost his hand in a Shakespearian play. I found that there’s some confusion and misinformation about Rathbones background in the Art. He certainly was very good, but I believe there’s a bit of Publicity embellishment on how this all came about. No matter, he was brilliant. Swords are definitely dangerous. I suspect there’s more injuries than we hear about. 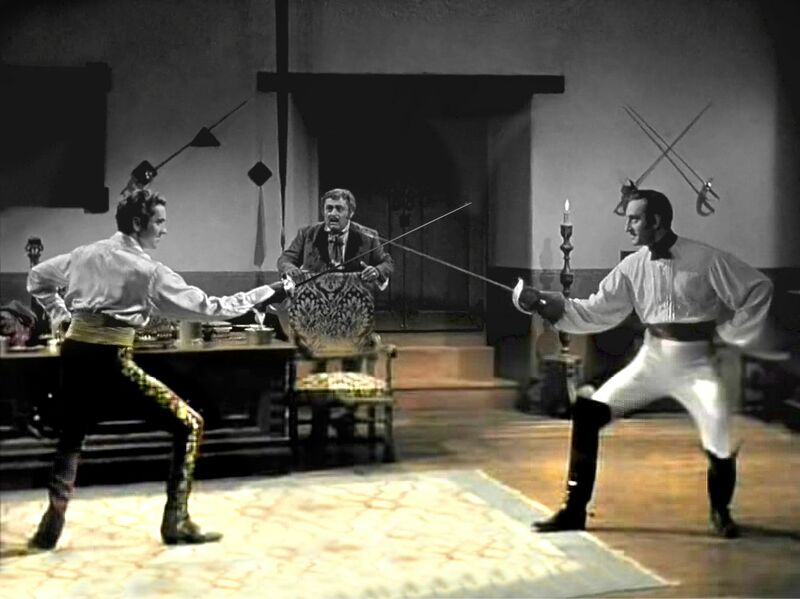 Ironically, Power’s death came about from sword fight with George Sanders while filming Solomon and Sheba (1955). In was very hot in Madrid and Sanders was a lousy sword fighter so they had to keep shooting the scene over and over. Power was stricken with a heart attack and died. He was only 44.